Keep your lawn looking neat and clean for as long as you can before winter arrives. This involves clearing dead leaves, fallen twigs, branches, and other debris you may find that could provide shelter for pests seeking to get into your home. Remain on top of keeping your yard tidy even after the snow has fallen. To keep pests away who might be taking up residence in your hedges, leave about five feet of clear space between the edge of your home and your nearest hedge or plant. Plants near your home can be utilized as shelter by pests, so keep those branches short. After all, once you trim your hedges, they won’t again until spring. Firewood piles are a very popular shelter option for rodents and insects during the winter time since they can build nests for their young and feed them there. To keep rodents from moving from your woodpile to your house, store your firewood at least twenty feet from your home. If you can, keep the wood elevated about five feet above the ground too. Having gutters that drain properly is essential for preventing water build-up. Built up moisture can attract pests, so check your gutters and clear out any leaves and debris you may find. It’s in your best interest to ensure your sump pump is draining properly too. If you’re looking to protect your home from pests this winter, get started on these suggestions now. We’re just two short weeks away from the start of December, so set some time aside and try to get a jump on ensuring a pest-free home for winter. If you’re in need of help, give us a call here at Absolut Pest Control or fill out our online contact form! Brown stink bugs actively seek shelter once cooler weather arrives. They don’t transmit diseases, nor do they sting or bite. They can, however, damage clothing, furniture, and other fabrics with their droppings. Conveniently enough, this is how stinkbugs get their name! When disturbed, their droppings emit a seriously strong odor in order to ward off potential predators. As fall settles in, take extra care to check out clothes, furniture, and blinds as these are common places to discover a lazy stink bug. Also, check all window screens to ensure they allow no easy entry into your home. You can potentially find all sorts of ants around your house throughout the fall months. Beware, some of these ants can wreak some real havoc. House ants can contaminate several of your foods while carpenter ants can damage the structure of your home. Keeping ants out of your home can be tricky, but to start you should store food in airtight containers , sweep your floors frequently, and keep tree branches and plants cut back from potential entry areas around your property. If these simple methods don’t help, you should look into sealing areas around your house in addition to cracks in the foundation. These guys are pretty common in the fall and winter. Like people, they need warmth when the temperatures drop, so naturally they choose our homes. Unfortunately, they spread diseases, can build nests in your insulation, and chew through your wires potentially causing a fire in the process. Rodents are flexible creatures, and have an uncanny knack of fitting through even the smallest of cracks. So, to help prevent them this season, plug up suspicious holes in your home’s foundation. In addition to that, you should be storing your food in containers because it makes acquiring a food source much more difficult. Since they reproduce at an incredibly brisk pace, you should contact pest professionals as soon as you suspect an infestation. No one wants to believe, or be told, that they have cockroaches in their home. Unfortunately, they are incredibly common and also quite dangerous. They can potentially spread up to 33 kinds of bacteria, some of which can trigger asthma attacks in children. Cockroaches fancy drains and pipes, so do your best to keep bathrooms and kitchens thoroughly sanitized. Again, make sure all cracks around the home are sealed and vacuum often. These are some of the pests you might spot inside your home this fall, much to your dismay. Utilize our tips if you feel as though you can handle the problem, but if things get particularly out of hand then get in touch with Absolut Pest Control. We can have your home back to normal in no time! In New England, most people love fall. It’s a nice transition from hot weather to cool weather, and the colored foliage outdoors makes up for the fact that the general temperatures are dropping. As the weather changes, and the nights get colder, rodents and pests will begin seeking out warmer areas to inhabit. Your home is a slam dunk option. So, in honor of the impending season, we’d like to give you some pointers on how to help keep pests out of your home this fall. If you have a large dog at home, or a small rambunctious one, there’s likely a chance your window screens have seen better days. Their claws can scratch screens when they jump up on window sills, which provide pests with an entry point to your home. When you have the time, take a look at your window and door screens. If you discover holes or rips, do what you can to mend them. If the screen is entirely beyond repair, you should look into replacement options. If your home has a chimney, it’s a smart idea to install a chimney cap when colder weather rolls in. This way, you can deter bats, birds, and other wildlife from holing up in your house. The same goes for your attic vents. Installing wire mesh to vents keeps squirrels, rodents, and bats from infiltrating your attic, and even the walls of your home. Utility openings such as dryer vents, gas meters, and other outdoor facets are common entry points to your humble abode. Tiny openings can allow spiders and a variety of other insects into your home, while an opening as small as a fourth of an inch is large enough for mice to fit through. Utilize things such as copper mesh, expandable foam, or caulk to seal up these areas. Keeping your home secure from pests is important, particularly when the change in seasons involves a temperature drop. Inspect your property for any glaring issues, and do your best to remedy them. If you run into a problem you just can’t fix, or discover a pre-existing pest problem, contact us at 978-388-4589 or fill out our online contact form! When the temperature outside begins to drop in the fall, infestations of rodents and mice tend to begin. If you hear noises in the walls or spot rodent droppings on the floor, this could mean that you a mouse infestation. 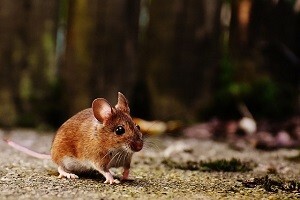 Due to how small mice are, they can easily get into homes by entering through cracks, holes, floors, and foundations. Check out some helpful tips to make sure mice don’t ruin your home for the holidays. To prevent mice from coming into your home all cr acks, openings and holes should be sealed properly. If you spot mice in your home, one of the first steps you can do is setting up mousetraps. Using a mousetrap is a safe and efficient way because they will kill them instead of poisoning it. Go through the house and remove clutter areas like piles of clothing or old cardboard boxes that could make it easy for mice to build a nest. Your house should always be clean and tidy, make sure you are washing the floors and vacuuming the carpets to avoid food from collecting and attracting mice. The most efficient method of removing mice from homes is by contact a trained pest control professional. If you notice mice lurking around your home, contact Absolut Pest Control today at 978.388.4589 or fill out our contact form online. As the temperature, outside slowly starts to drop, you should be prepared for the upcoming winter by making sure that your home is pest-free. Here are a few of the pests you might see lurking around your home this fall. Rodents: Common home intruders that you might see around this fall are mice and rats. Mice and rats can spread diseases and chew through your home wiring causing serious damage. It’s important to make sure you keep all the doors shut and look for any small openings where rodents can sneak in. Bedbugs: Bed bugs are typically found in mattresses, suitcases, boxes and shoes around the home. These are tiny bugs that are difficult to spot, so you may have to find them by using a flashlight and looking for them along the seams of furniture and mattresses. Stinkbugs: As the weather outside gets colder, it’s common to find Stink Bugs congregating on the warmer sides of homes. While stink bugs don’t spread diseases, these pests can damage clothing and furniture with their droppings and odor. Properly named, when these bugs are squashed or disturbed they release a disturbing odor. Spiders: Even though they are not necessarily dangerous, spiders can be a nuisance around your household. Spider usually make their way into homes through either the garage and attic, as well as the windows and doorways. If you notice any of these pests around your home, contact Absolut Pest Control today at 978-388-4589 or fill out our contact form for more information! Bees are an important part of the world’s ecosystem but it can be considered dangerous to let a bee hive thrive near your home. Bees are generally less destructive than rats or termites, however, it’s still an inconvenience to have bees surrounding your home. They are usually more noticeable in the spring but still have a presence throughout the summer and into the fall. Bee Stings: When a bee stings a person, it can cause pain and swelling in the area of where the sting occurred. Bee Allergies: Bee stings are very dangerous for people who have a b ee allergy. Symptoms of bee stings can result in pain and swelling, nausea and vomiting, and closing of the throat. Bee Aggression: If bees feel their hive or colony is being threatened or in danger they will sting you. In warm weather, bees also tend to get more aggressive so make sure you keep your distance. 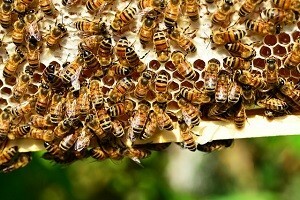 For safety purposes, the best way to take care of your bee problem is to contact a pest control expert. For more information on bee control, contact Absolut Pest Control at 978.388.4589 or fill out our contact form online! Summer is the perfect time to do all those fun outdoor activities you have been anxiously waiting to do since the winter. Before you hit the outdoors to either to go hiking or do some gardening, you will want to make sure you are well protected from ticks. 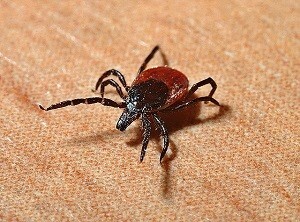 Ticks are small arachnids that require blood meals to complete their complex life cycles. Ticks can very dangerous because they transmit diseases to several hosts; diseases including Lyme disease, Heartland virus, and Q Fever. It’s important to take the right steps in protecting yourself from any kind of tick. Purchas the right bug repellent that is safe to use and will be effective for several hours while you’re outdoors. After you return you from the outdoors, make sure to inspect your entire body carefully for any ticks that may be stuck on your skin. For ticks to transmit Lyme Disease, they have to be attached to the skin for at least 36 hours to transmit Lyme disease. If you go hiking or spending time around a wooded area, make sure you wear long sleeves and long pants, socks, and boots (no open toe shoes). Ticks like tall grass, so try to keep your lawn short and well-maintained. Also, try to stay in sunny areas when outdoors, that will reduce tick exposure. Ticks can easily make connect with your pets while they are outside, make sure you inspect pets once they come back inside and remove any ticks you find with a pair of tweezers. If you are in need of tick control or any other pest problem, contact Absolut Pest Control 978.388.4589 or fill out our contact form online.